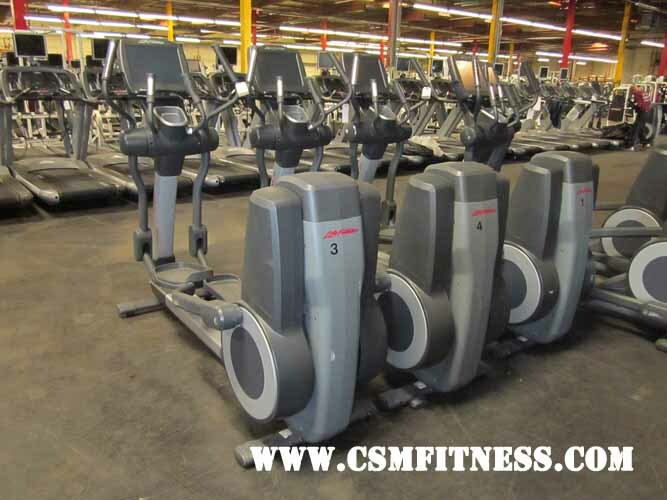 The 95X Engage is incorporated in Life Fitness’ Elevation Series cardio line. Its user friendly-console features a 15” LCD touch screen that integrates entertainment controls such as iPod, live TV, and FM radio. Its At-Your-Fingertips Resistance Controls allows users to easily adjust resistance throughout their workout, while its Lifepulse sensors provide precise heart rate monitoring. Additionally, the 95X incorporates 26 resistance levels and over 20 preprogrammed workouts, which include Quick Start, Manual, Fat Burn, Around the World, and Speed Interval Training. To ensure comfort Life Fitness designed this crosstrainer with oversized non-slip pedals, support handle bars, and an integrated reading rack. With its revolutionary Quiet Drive Technology, and Self-Powered Convenience, the 95X Engage crosstrainer was designed to accommodate users in almost any environment.